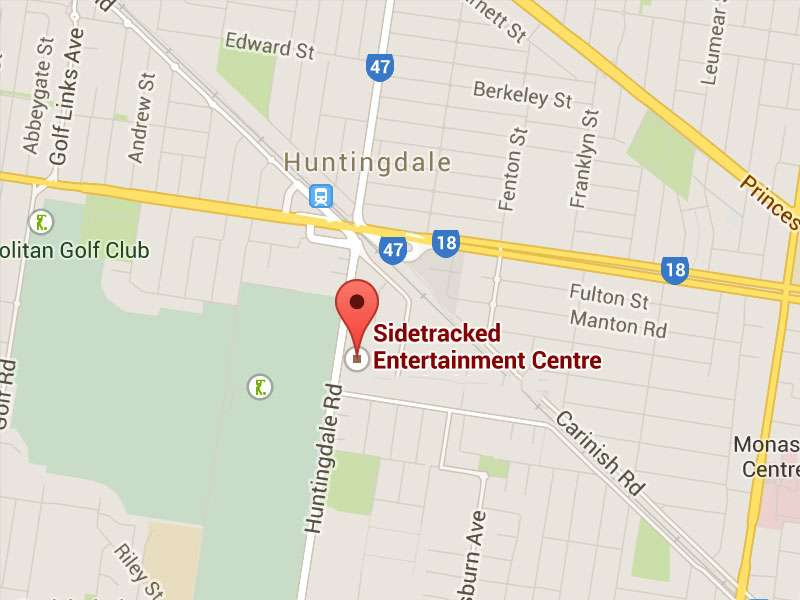 Sidetracked is the Premier indoor entertainment centre in Melbourne. A kids party here is no ordinary party – they are full-on fun! Our weekend parties consist of at least 3 of our action-packed activities and party food. You can do Go-Karting, Laserforce Lasertag, Tenpin Bowling, Dodgem Cars, Mini Golf or Game Tokens for our large range of video arcade games. We have party packages to suit from 5 year old to 16 year old. (some age restrictions apply for some activities). Parties run for an average of 1 ¾ hours in total which includes time for food and cake. The minimum number for a party is 8 children on Saturdays, Sundays and Public Holidays, 5 children Monday to Friday and the maximum is up to you as we can run large parties easily. A Sidetracked Birthday Party means maximum fun, minimum stress, no cleaning, no hassle. We can even provide an Ice Cream Cake and Loot Bags if you want. Run a Tab at Trax Café for guests coffees and snacks, or order a hot Adult Platter for the parents and adult guests that stay around with your party. Choose from our 6 Party Favourites below to make your selection easier. Or scroll down further and use the Party Selector below them to work out a price on your own preferred activities. 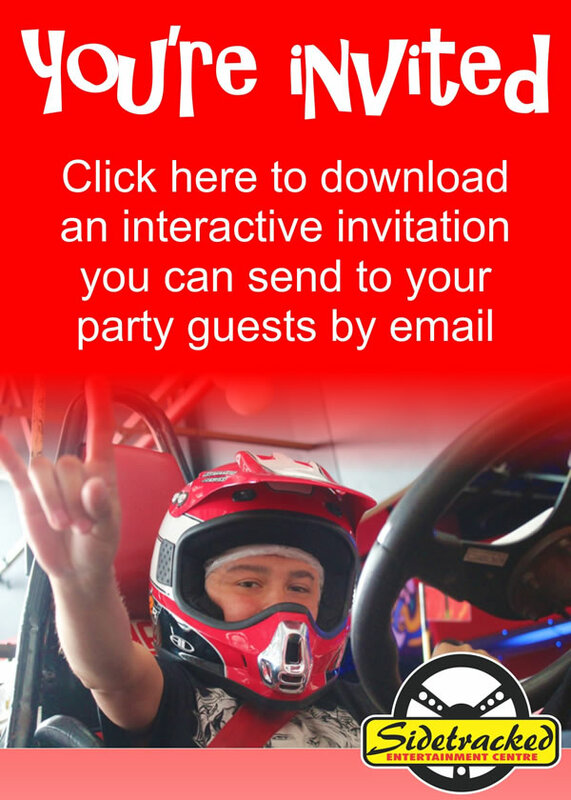 – simply choose your preferred Party Type and then an Additional Two Activities and a Food Option, plus any Extras you require and send the form to us. We will contact you ASAP to discuss and book your party with you. All food options include Hot Chips & Soft Drinks. With NON FOOD OPTION Party Table & helper will still be available. Please ask for details. Please note this is an enquiry, not a booking. We will contact you to confirm details and create your booking. So you correct contact details are very important to making your important day a huge success.